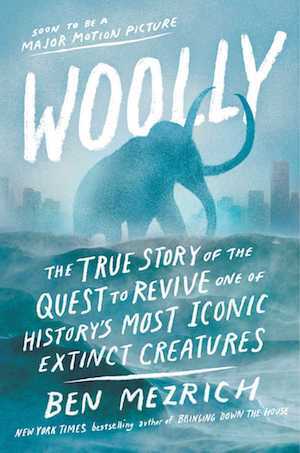 The book WOOLLY tells how the first steps have been taken to restore woolly mammoths to life and to the northern wild. Your donation can help complete the work of the three nonprofit groups that are working on the quest — George Church’s lab at Harvard, Pleistocene Park, and Revive & Restore. The ultimate goal of woolly mammoth revival is to bring back this extinct species so that healthy herds one day repopulate the vast tracts of tundra and boreal forest in Eurasia and North America. At Harvard Medical School one of the world's leading innovators in genome editing is George Church. His team has identified the genes for cold-adapted traits in woolly mammoth genomes, and they transferred those genes, using CRISPR techniques, into the living genomes of Asian elephant cells in the lab. As their research continues, it may make possible the creation of living elephants that look and act like woolly mammoths, capable of taking up their old ecological role in the Arctic ecosystem. In northeastern Siberia, Russian ecologist Sergey Zimov and his son Nikita are studying how to rewild the Arctic megafauna. Introducing herbivores en masse to Siberia and northern Alaska, they believe, would bring back a lost biome – the mammoth steppe grasslands – and prevent permafrost from melting and releasing billions of tons of greenhouse gases into the atmosphere. To get from the genome work in the lab to herds of woolly mammoths once again thriving in their native habitat will take many steps and many years. Revive & Restore is taking initial responsibility for managing those steps. It will begin with organizing workshops and conferences assembling the many specialists—from elephant reproduction veterinarians to steppe ecologists—needed to eventually complete the WOOLLY saga. Each step of the process has to bring conservation benefits to imperiled Asian elephants. Revive & Restore plays a role in Ben Mezrich's new book WOOLLY, soon to be a feature film directed by Oscar Sharp. The book reads like a novel, but it tells the story of real characters and real events. George Church at Harvard Medical School built a team of brilliant genome engineers to work on editing enough woolly mammoth genes into living elephant genomes to potentially recreate living woolly mammoths. Revive & Restore introduced George Church to the extraordinary Russian scientist Sergey Zimov, who has started a project in northern Siberia called "Pleistocene Park," which is using wild grazing animals to generate climate-stabilizing grasslands. Zimov wants to add mammoths to the mix. We also connected George with specialists in Asian elephant diseases, and as a result his lab is working on curing a previously untreatable viral disease that is killing many young elephants. A good early review of the book is at NPR Books.